The Central Poster lists the main events of the R-R-R college project. 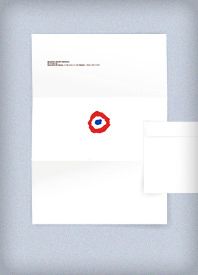 The original artwork was a typographical collage of less than postcard size. This collage was photocopied in two separate runs with red and blue spot colour toner and later professionally reproduced for offset printing in the final size of 832 x 580 mm. 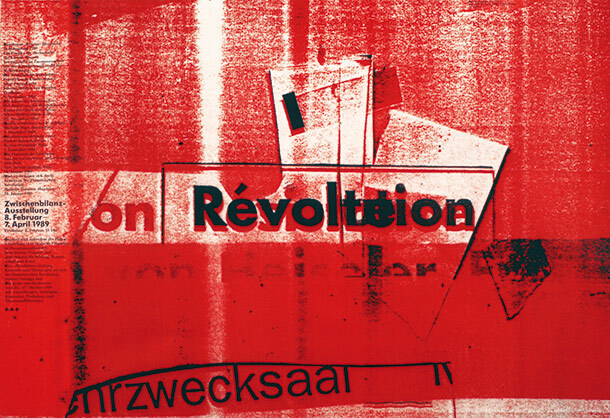 The word fragment „zwecksaal“ came from the college’s multi-purpose hall but also alludes to hardship (German: Mühsal) which is an ironic twist on the magnitude and drama of the French Revolution. The project group overprinted the poster and re-used parts of the print run as folders and bookjackets. A4 size letterhead with an element (cockade of France) that has to be overwritten or requires to write around it. 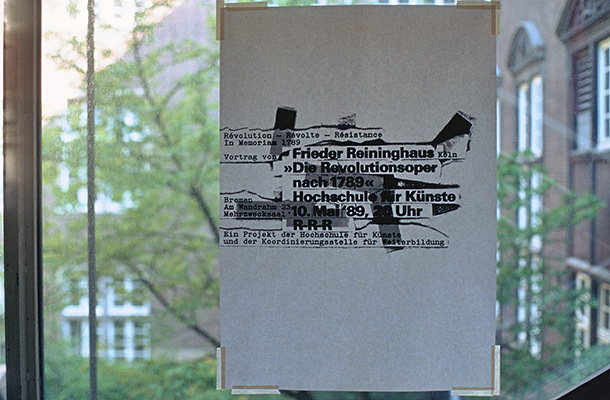 I assisted during the printing in one-colour offset und two-colour screenprint in the college printshops. Two-sided poster for a guest lecture. 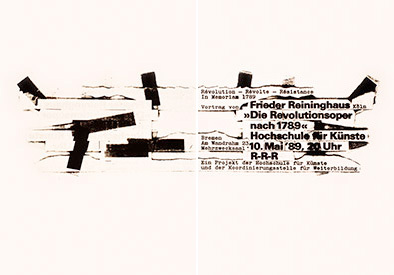 This typo collage was reproduced from both sides resulting in a poster with an interesting backlight effect. Hanging on the wall, the backside would remain a secret. One-colour screenprint, 600 x 840 mm. The poster was featured full page in High Quality magazine of Heidelberger Druckmaschinen AG. 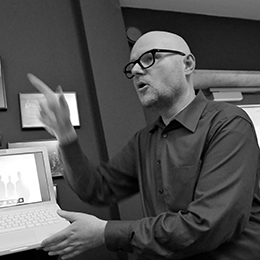 In summer 2008, all the items above were shown in Bremen’s Neues Museum Weserburg in the exhibition Ein X für ein U, presenting 25 years of typography at Bremen University of Arts in association with the 23rd Forum Typography conference.